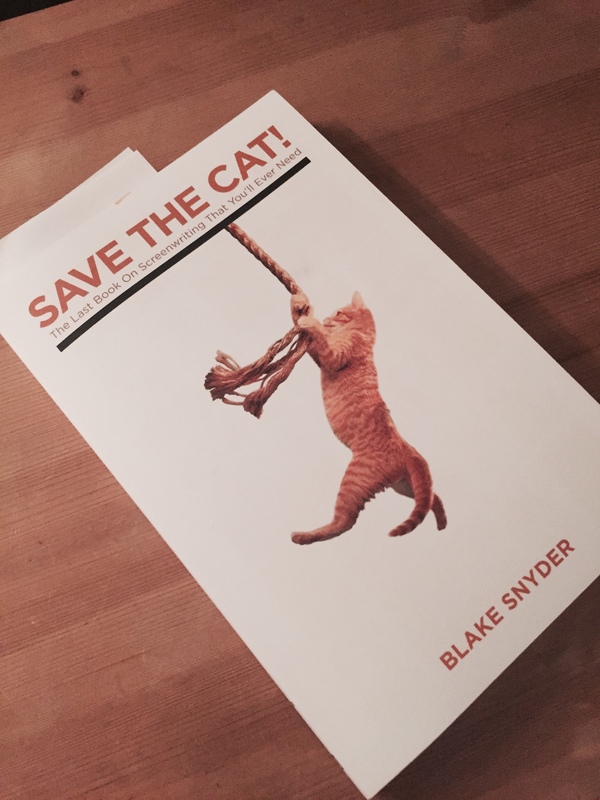 Following on from my previous post where I came out (of the novel-writing closet), I thought I would tell you a little more about the novel and share a tip I picked up from reading Save The Cat – a brilliant book about Screenwriting. It’s author, Blake Snyder, believes the one killer question you need to answer before you even begin to write is . . . Think about it. You mention to your friend that you’re writing a book. Their first question? The best way to do that? Come up with a logline. That’s a screenwriting term, but it’s just another way of saying ‘elevator pitch’ – a concise one or two lines that capture the essence of your story. It needs to give a sense of who, what and where this story is. Is it obvious in what genre you’re writing? Snyder also thinks it should have at least a whiff or irony about it and perhaps even some kind of time frame. It’s not terrible. It includes some important elements of the story and it gives a vague description of my protagonist, but it feels too long. I tried two or three more iterations – mainly changing word order and including the additional detail of an estranged son – but it still didn’t sing, didn’t say where the story was set and didn’t really reflect Mickey’s personality. So, after a lot of refining, here’s what I’ve settled on. For now . . . Better? I think so. 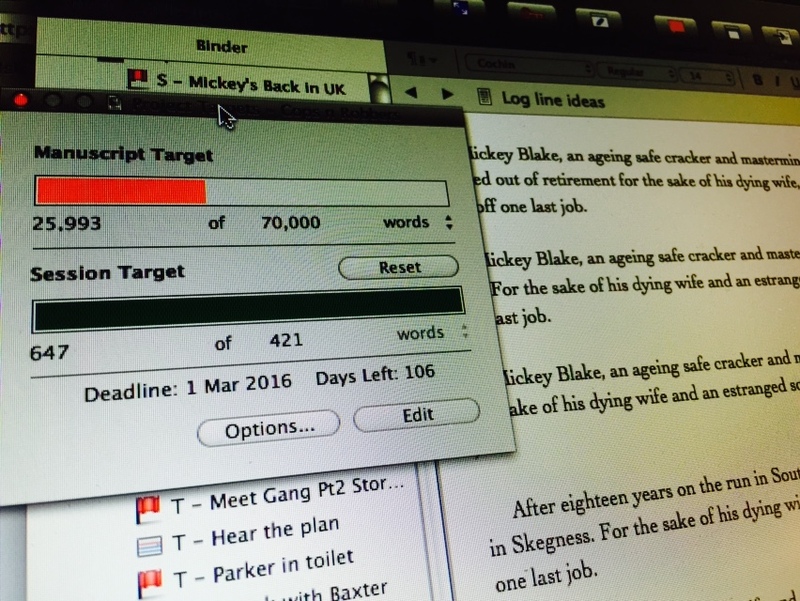 It has a similar word count to my first attempt, but has more information, gives a sense of who Mickey is and reveals my setting . . . Skegness! Yes, Skegness. For those unfamiliar with it, Skeggy (as it’s known locally) is a seaside town on the East coast of England and these days is probably most famous for being home to a large Butlins holiday resort. I think revealing that location and the part about ‘a son that hates his guts’ provides the ironic whiff I was looking for. I’ve also squeezed in the ‘one week’ time frame and created a mental image of some of the challenges he’s going to face. I actually think it would work as a ‘one-liner’ – the first sentence does most of the work. Having this ‘one-liner’ has already helped me to focus and means I will at least have a chance at articulating my story the next time someone asks me what I’m spending all my spare time on. I’m going to be posting regular updates along my novel-writing journey, so let me know which parts of the process you are most interested in and subscribe to the blog to keep up to date. I would love to hear your opinions on my logline and whether you’re intrigued to find out more about the story. So why not give it a try – write a logline for your novel or next short story – and let me know how you get on in the comments below. Alternatively, tweet me. ← It’s a NOVEL – there, I said it! Hi Amanda. Definitely doesn’t make you sound crazy – makes you sound like a writer! It can be great when a character takes control of your story. As long as their actions are true to their character and logic of the story, go with it! May be worth taking a little time to consider all the possible outcomes of the story though – could help you to get to the end. You WILL finish! Keep me up to date and thanks for stopping by. Good logline. Want to read your book already on the strength of that. I have trouble summing up a short story, never mind trying to do it for a novel. Hi Bea! Thanks for the kind words. Really recommend that book – don’t be put off by the fact it’s for screenwriting. Hey – if I can write a logline, you definitely can! Enter a world full of warriors and mythical beasts. An entire race on the edge of extinction and a boy with a legacy to save them all!